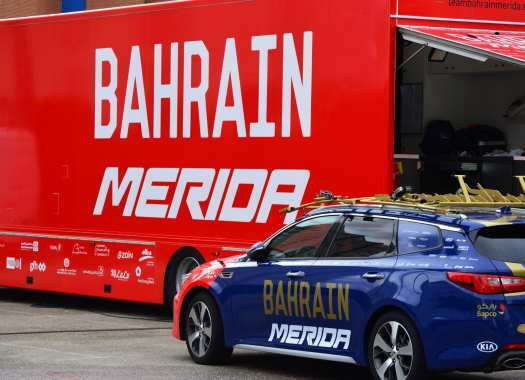 Bahrain-Merida has confirmed the contract extension of Matej Mohoric. The Slovenian national champion is set to stay at the team for two more seasons. Mohoric won seven races in 2018 including the overall classification in the BinckBank Tour and the Deutschland Tour, and a Giro d'Italia stage. "With Bahrain Merida, I've had the best year of my career so far," the rider commented. "I made a crucial step in my career here and I feel really good in this team. "So I’m very proud to stay here longer and be part of this team in the future. Plans are to focus on one-day Classics. I became a really good rider on this kind of races. Next strategies will be to make a step forward as a GC rider. I will need some more years of experience for sure, but I would grow up to fight for Grand Tours overall as well". The Slovenian has been a professional for five seasons and is considered one of the most promising riders of the peloton. "We’re very happy with the renew of Matej’s contract," said Bahrain-Merida manager Brent Copeland. "It’s a rider that fits our team perfectly. He’s a talented cyclist also he’s a rider that we can work together to help to improve in more areas with the help McLaren and Merida together we can definitely use Matej to help improvements in the technological area. He’s a rider that continuously increasing his talent. We believe that the future is really bright for both sides."